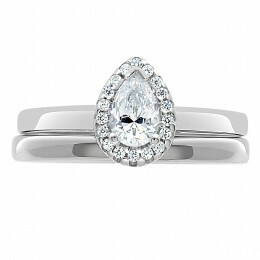 “Anna” this wonderful pear cut diamond engagement ring is a beautifully feminine pear cut diamond tantalizing set in an antique style halo bezel of 18 sparkling round brilliant cut pavé set diamonds. 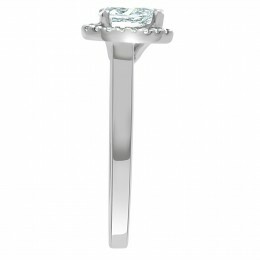 This eye catching ring is shown with a plain band but may also be made with scallop or pavé set diamonds on the shoulders/band. 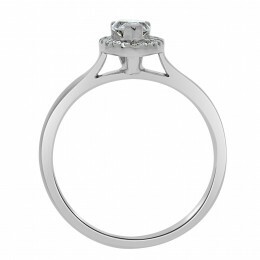 This vintage style engagement ring is available with a selection of plain/patterned and matching diamond wedding band and is available in white gold, platinum, yellow gold and rose gold. 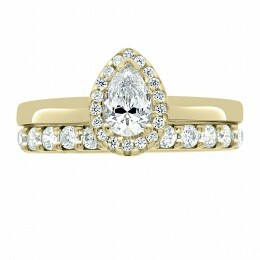 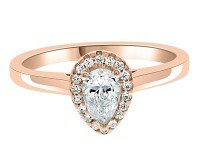 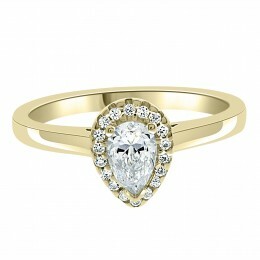 The ring pictured has a .50ct F VS2 pear cut diamond certified by GIA. The combined carat weight is .80ct.